Payment processing features for insurance companies. How to select a payment processor for insurance companies to receive payments effectively offering customers the best possible experience. And what features should payment gateways provide for this? A seamless website integration when you should not have programming skills giving a pleasant experience. Customers can find the policy they want and make their purchases. All without leaving your site paying by card via an express widget. To make the entire process streamlined and comfortable for the customer, he can pay right in messenger. And you can communicate with him through this channel, support in real time, send notifications. You get automated sales and a CRM system with all chats with clients and all statistics. This frees up your staff from managing phone and email communications, allows them to focus on other areas of the business. 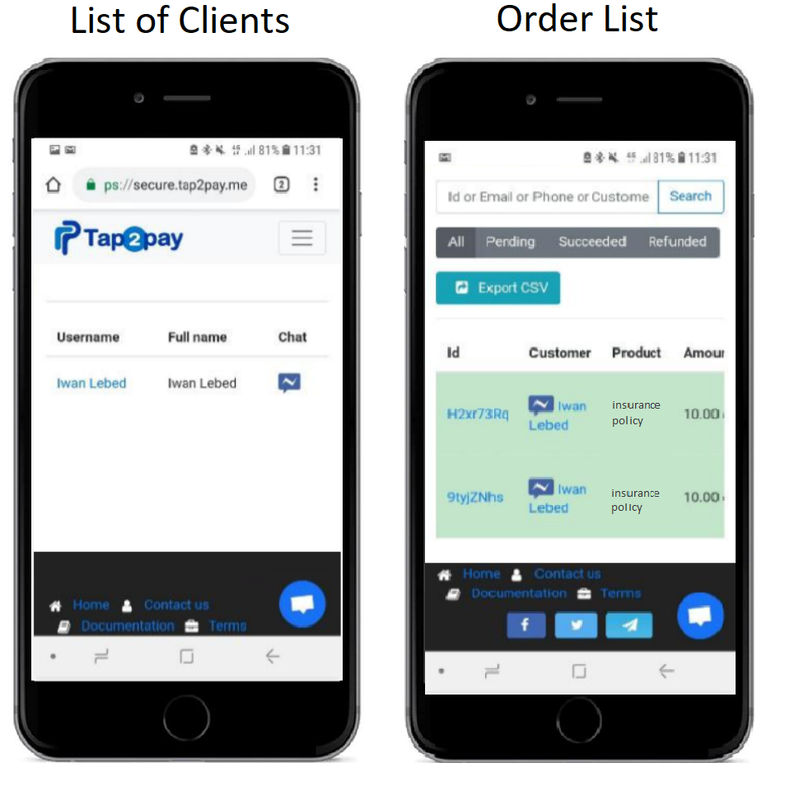 Customers can choose their preferred payment methods such as credit card, PayPal or even cash after online pre-order – and gives them a better experience overall. In addition to sales through the site, payment service integrates with a social media post or ads (with a short link). Customer clicks on a post/ads and receives an invoice in messenger chat. He need once fills credit card details on secure processing page and he can buy in two clicks. The insurance company knows who want to buy, can chat with a customer in real time, send notification and stimulate to buy. 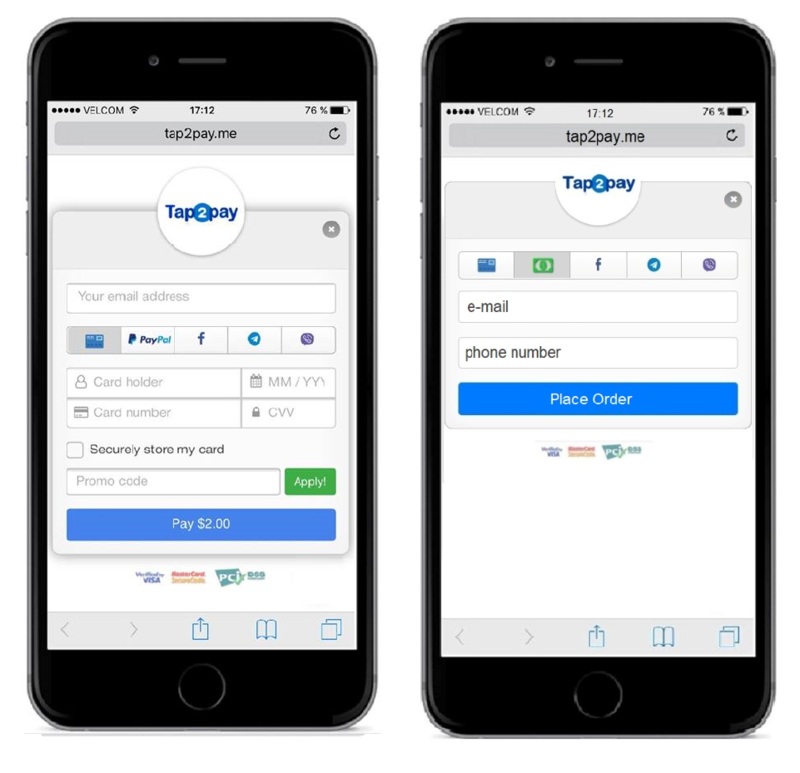 Learn more about Tap2Pay payments solutions for insurance companies & agencies. PCI DSS compliance provides the safety and security of customer information in transactions. Credit card and customer private information are protected by multiple layers of security by encrypting and storing the data at the highest standards. Payment processing is easy with installments and recurring payments for both insurers and their customers. Customers can purchase a policy, and receive invoice automatically each time they’re billed. This saves time and eliminating the risk of default or missed payments. It is important that insurance payment processing allows for payments made from both local and cross-border accounts. Individual and corporate customers can make seamless transactions no matter where their account is based.